126 Kivers Rd offers a truly unique lifestyle with income opportunity. Currently operating as an Equestrian Facility, with appropriate business consent in place, there is huge breadth to further the burgeoning business (financials available). Alternatively, the future may lie in a multitude of ventures, with the spectacular 70m x 45m shed the hub of the operation. Complementing the stunning property and facilities is a substantial and well-appointed lifestyle home. Set amongst established grounds, the four-bedroom (three with ensuite and walk-in robe) plus office, home provides a family retreat. Open plan kitchen and living flow out to the covered outdoor entertaining space, with fantastic views to the Southern Alps. A separate lounge allows flexibility, while central heating radiators and Yunca gas fire ensure year-round comfort. 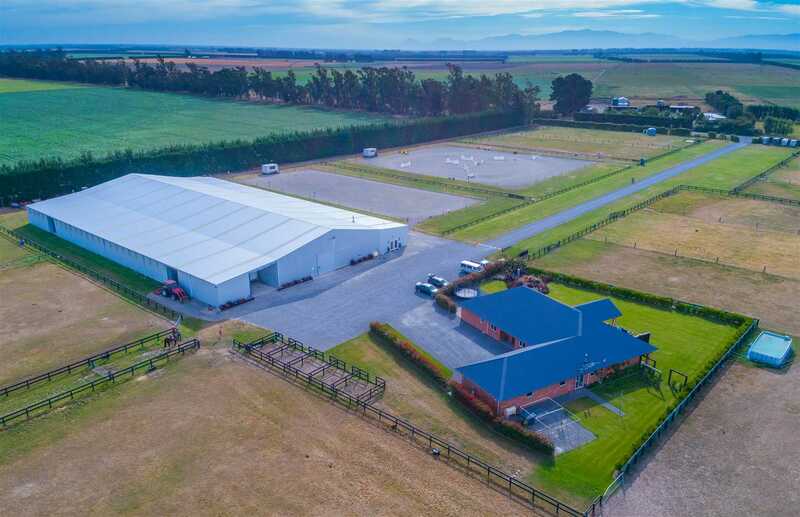 An easy commute to Christchurch City or the International Airport, and just minutes to Rolleston or the Main South Highway this property presents a genuine opportunity that will appeal to equestrian enthusiasts, contractors or savvy business owners. Our owners instructions are clear, this must be SOLD - call today for a private viewing or further information.